Department of Art | Holly Hanessian: Open Studio Sale this Saturday! 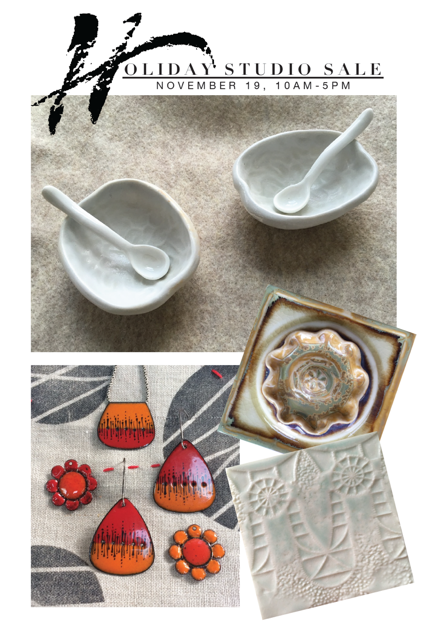 Home » News » Holly Hanessian: Open Studio Sale this Saturday! Holly Hanessian: Open Studio Sale this Saturday! FSU Art Professor Holly Hanessian will be having a studio sale this year to be part of the TallyClayArts Studio Tour. Ursula Vourvoulis will be there as a guest artist, as will the Ceraminoles Clay Club. There will be some roving musicians and light snacks. Please join us from 10-5pm on Saturday, November 19 at 554 E. Georgia St. Tallahassee.